FIRM Construction is one of Perth’s leading commercial builder. For over 15 years, we have delivered many commercial, residential and aged care facilities that has transformed spaces and its communities. We know what it takes for these projects to become valuable additions to a community’s cultural landscape. The project teams are committed in delivering a sustainable and liveable infrastructure for the community, and continue the revitalisation of our local neighbourhood. 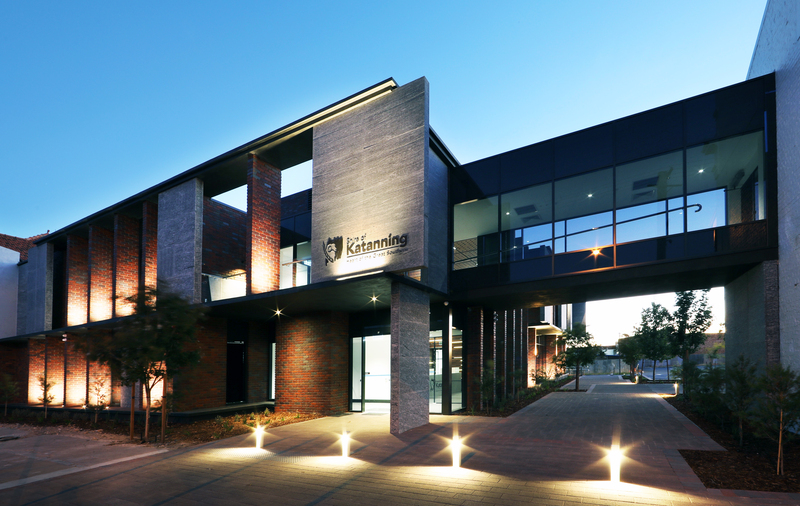 The new Shire of Katanning’s Administration and Civic Building is a two storey, built for purpose facility with access to the first floor of the Katanning Hotel. Located within the Heritage Precinct, the building features locally sourced materials such as the prominent Narrogin burgundy brick. 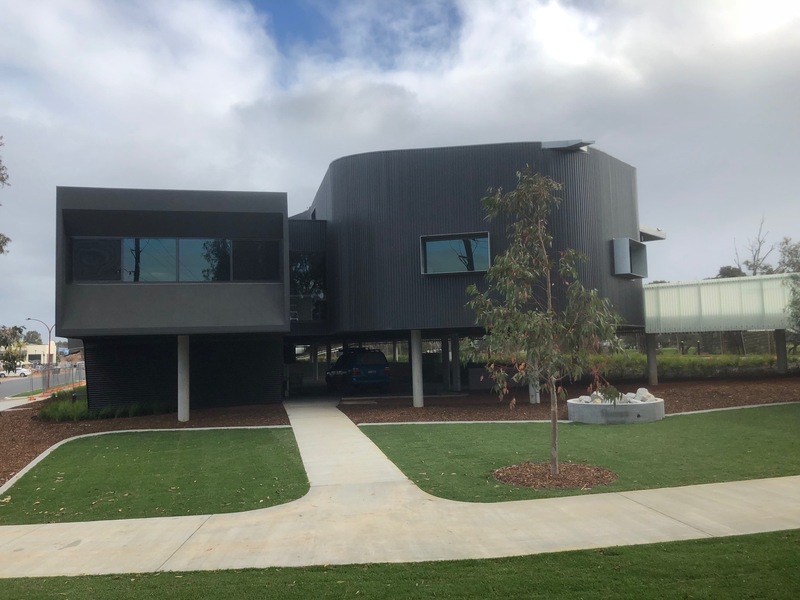 FIRM Construction has recently completed the construction of Northam Aboriginal and Environmental Interpretive Centre; this centre will be used to protect, celebrate and share the culture of the Nyoongar people. The new facility is located in the foreshore of the Avon River and will attract many tourist and local community. The building facade features recycled jarrah that seamlessly meld into the natural surrounding; public exhibition areas; office spaces and workshop with meeting areas; tourist/public amenities facility; custom made marri vaneeer reception desk; hanging lights in the main lobby area creating a dramatic feature; extensive landscaping works with car parking bays. 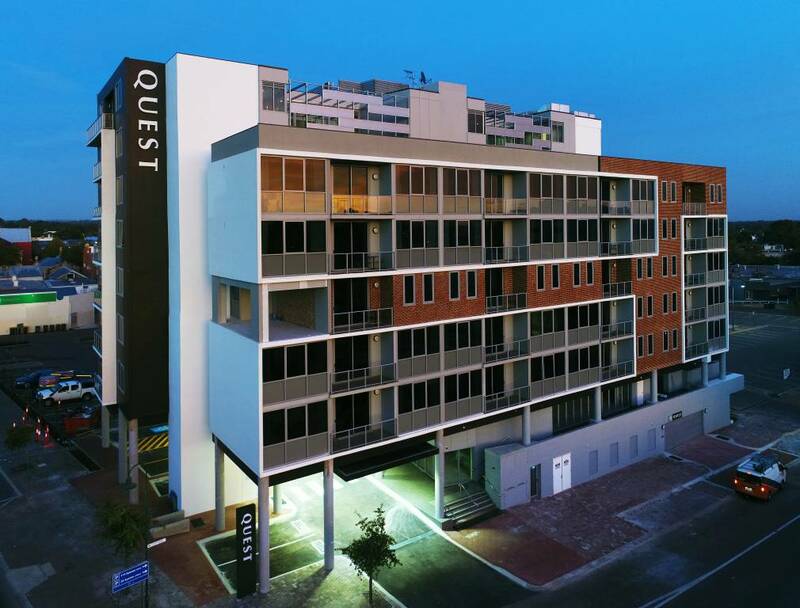 Quest Apartments offer guests short stay accommodation facilities. Their Midland development has 102 modern apartment rooms comprising of one, two and three bedrooms. 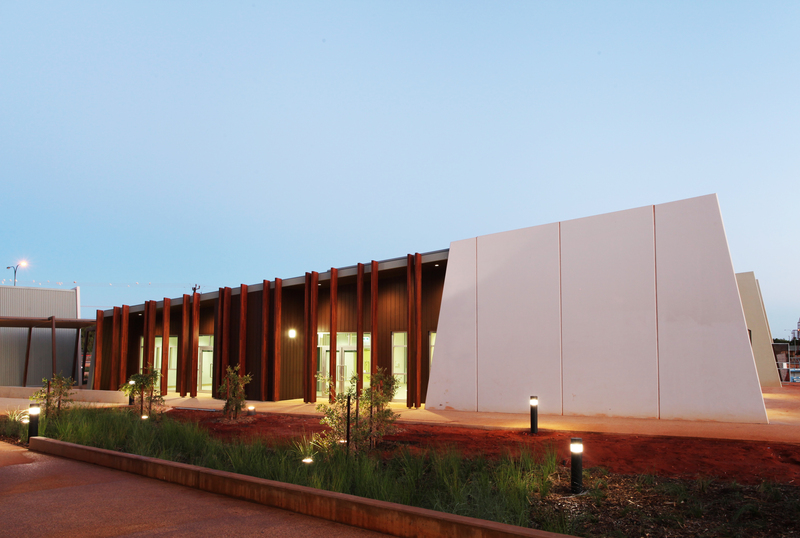 The Ningaloo Visitors Centre is the town’s biggest social infrastructure investment and one of the largest buildings in Exmouth. The centre is a multi-purpose building designed to connect the local community to the foreshore. This facility features an art gallery, aquarium, library, community centres, retail areas and public exhibition spaces. The visitors centre plays an instrumental role in the growth and development of the local community. 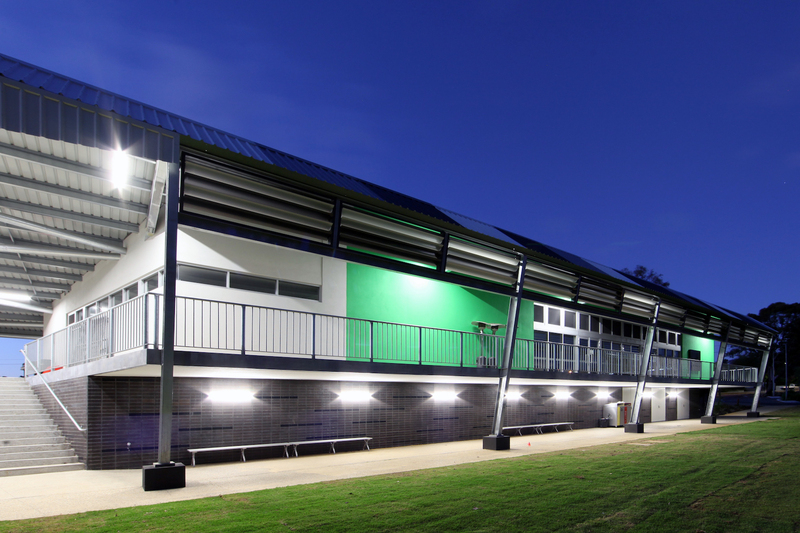 The Wembley Sports Park Pavilion was built for the community to optimise the relationship to the pre-existing sporting oval which caters for a diverse range of sports, such as cricket, baseball and football. This new multi-storey pavilion has amenities with wet areas; function and multi-purpose hall; commercial kitchen fit-out with serving areas; multiple storage rooms and extensive landscaping works to compliment its surroundings. Wembley Golf Course’s new dining facility is providing its visitors full dining and bar experience, to compliment its world-class golf course. The project involves the construction of a new function room; change rooms and general amenities; commercial kitchen and full retail fit-out. The external facade reflects the quality found within; timber is used extensively throughout the redevelopment – internal and external walls are dressed with hardwood cladding from the ground to the roof that extends to the wooden decking. As a natural building material, timber integrates seamlessly with the native bushland. 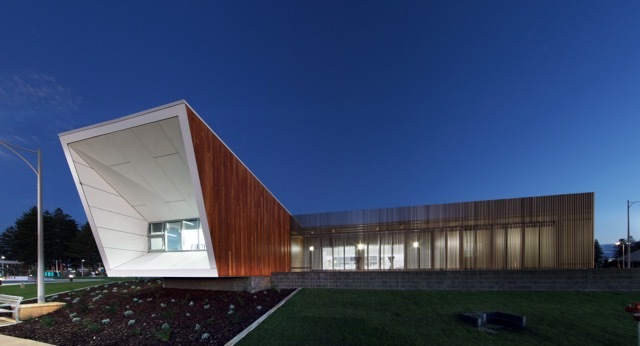 The Geraldton Civic Centre is a defining architectural feature for the City of Geraldton, providing the community with a family-friendly gathering area. Located in the heart of Geraldton, the town features three multi-purpose buildings; a function room/multipurpose halls with direct ocean view; office and meeting spaces; classroom facilities and open air playground. 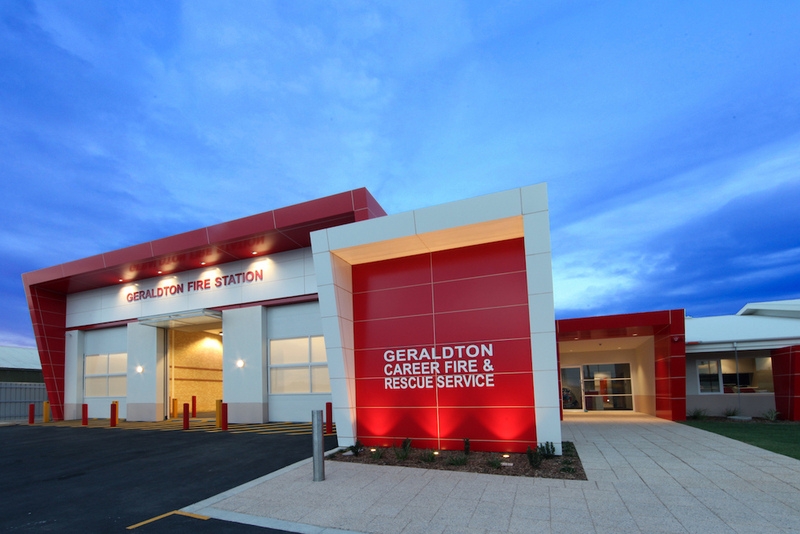 FIRM Construction was engaged to deliver the Geraldton Fire Station for the Department of Fire and Emergency Services Team. Located on North West Coastal Highway is house to up to 12 firefighters. This fully equipped facility features three-engine bay rooms; training areas for firefighters; living and sleeping quarters, and office spaces. In addition, the fire station external areas can accomodate movement of large vehicle and a customised 8.5m concrete training tower for simulation drills to be performed on site.